Student Body President-Elect Amy Sharp will take office April 21. After serving as the Class of 2019 president three years in a row, Mays management junior Amy Sharp readily steps up as the next Texas A&M University Student Body President. She received 66.03 percent of the votes. Sharp grew up in Conroe, Texas, where she attended Oak Ridge High School before coming to Texas A&M. From the start of her college experience, Sharp knew she wanted to make a difference on campus. As student body president, Sharp will focus on three things: academic improvement, increased inclusion, and improved access to mental and physical health services. Sharp and her supporters spent weeks poring over the platform they had written together, brainstorming ideas to set them apart from the competition, and coordinating the execution of their plans. By the time the four-day campaign period started, Sharp and her team were ready to convince all students why Sharp should be elected student body president. “My team put forth an incredible campaign that was meticulous, genuine, and bursting with integrity, and that is exactly what we set out to do,” Sharp said. Along with her recurring role as Class of 2019 president, Sharp has also been actively involved in the business honors program during her time at Mays Business School. Through business honors, Sharp has been able to network with executive speakers, travel to businesses across the country, and grow as a leader both inside and outside of the classroom. While in the role of student body president, Sharp hopes she can work to build bridges between the student body and the Student Government Association. “I will make it a priority to meet students where they are and build relationships with them, because I know this is the best way to understand the student experience on our campus,” she said. 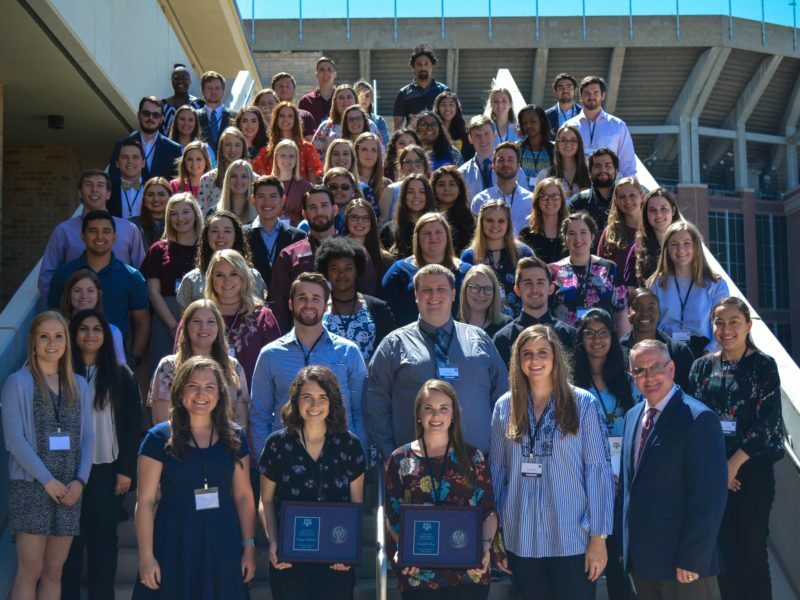 By creating a stellar classroom experience, making Texas A&M a more inclusive campus, and improving the quality of mental and physical health care services, Sharp hopes to improve the college experience for many Aggies. Sharp will take office on April 21 after current student body president Bobby Brooks completes his term with a speech at the campus Muster ceremony. As the time to take office comes closer, Sharp cannot help but think about what Mays has done for her the past three years. “My courses at Mays have taught me much about giving back, integrity, and choosing styles of leadership, all of which will be very necessary skills and knowledge points as I begin to serve Texas A&M as student body president,” Sharp said. After she graduates, she is hoping to pursue her passions of helping people with mental health and substance abuse problems, as well as relieve children in poverty. She is applying for 2+2 programs and hopes to pursue an MBA. This story by Breagan Adams originally appeared in Mays Impacts.